This article was last updated Aug 14, 2018, but some terms and conditions may have changed or are no longer available. For the most accurate and up to date information please consult the terms and conditions found on the issuer website. This card is designed for people with less than perfect credit who are looking to build credit, so people who have good or excellent credit should look at other cards that have rewards programs or more perks. Also, if you think you may carry a balance, this card isn’t the best option since the interest rate is very high at 26.96% (Variable). (14) Over the Past 60 Days! A great feature of this card is the higher line of credit you may receive when you make your first five monthly payments on time. This can come in handy if you don’t initially get approved for a large line of credit. Another great feature is no foreign transaction fee, allowing you to save on the 2-5% fee many other cards charge on purchases made outside the U.S. The Capital One® Platinum Credit Card doesn’t have a rewards program, so you won’t be able to earn points or cash back on your spending. Although this isn’t ideal, it may be for the best, because you can focus on building your credit score without the temptation of rewards. Access a higher credit line: When you make your first five monthly payments on time, Capital One may give you a higher credit line. CreditWise®: Access your free credit score, credit report and helpful tools to monitor your progress. There is also a credit simulator that can tell you the possible impact of financial decisions like paying off debt or increasing a credit limit. Platinum Mastercard® benefits: You may benefit from various features including extended warranty, auto rental insurance, travel accident insurance, 24/7 travel and roadside assistance protection, price protection, and more. You can see the most value with the Capital One® Platinum Credit Card by using it for all of your purchases and paying your statement in full and on time each month. This way, you practice responsible credit behavior and can improve your score. Another key point is spend as little of your available credit as possible — a good rule of thumb is to limit your spending to 20% of your credit limit. The amount of your credit you use is known as credit utilization and this is a key factor in determining your credit score. Keeping a low utilization can improve your score. This card is a good choice when traveling outside the U.S. because there is no foreign transaction fee — meaning you can make purchases abroad without paying an extra fee. 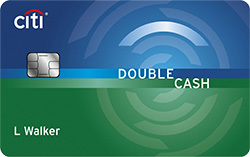 The Capital One® Platinum Credit Card and Capital One® QuicksilverOne® Cash Rewards Credit Card are both for people with average credit, but they differ in two key ways: annual fee and rewards. 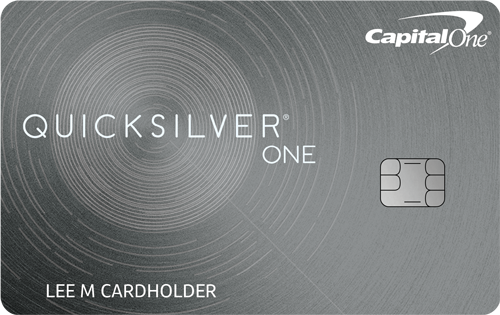 The Capital One® QuicksilverOne® Cash Rewards Credit Card has a $39 annual fee, and although this is one of the lowest annual fees on the market, it can be an issue for some people. However, the annual fee may be worth it because it has a cash back program where you can earn 1.5% Cash Back on every purchase, every day. 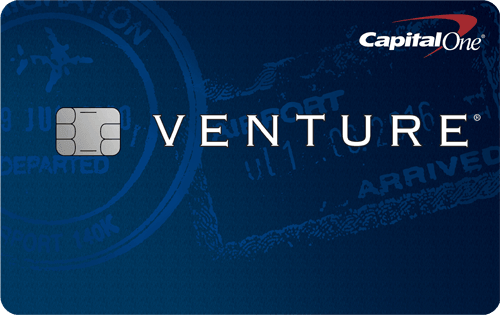 On the other side, the Capital One® Platinum Credit Card has a great $0 annual fee but no rewards program. Ultimately, the card that you choose depends on whether you want to pay an annual fee to get rewards or are willing to forgo rewards for a card without an annual fee. 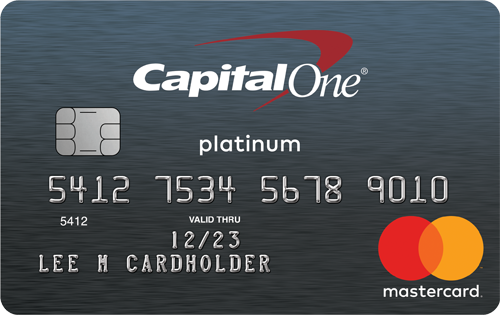 The Capital One® Platinum Credit Card is a good $0 annual fee card for people with Average/Fair/Limited credit looking to improve their credit score.